New App THEME “BULL COUNTER” will be launched in Nov. Prior to the launch‚ DARTSLIVE OFFICIAL PLAYER is using it. Here are some reviews from them! When playing 01 and COUNT-UP‚ I can refer to the monthly BULL total. As the no. 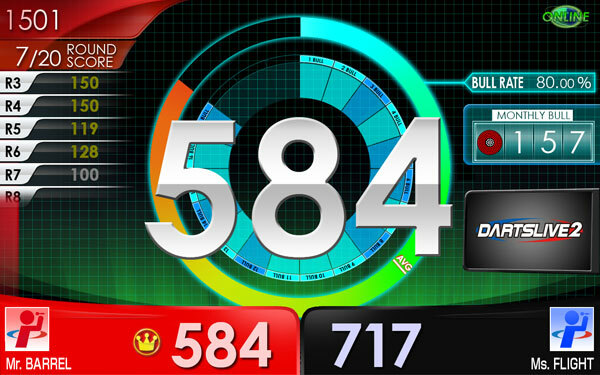 of BULLs is counted‚ it can motivate me to keep playing my best even when I can’t achieve the target score in COUNT-UP. I am not happy about the scores by failed BULL. So this THEME works perfectly for me. BULL COUNTER will be available for purchase from Nov. 2 (Mon)! >>Who are DARTSLIVE OFFICIAL PLAYER? For purchase‚ visit “THEME” on the Members’ top page.